Whether you have Monday off or not, it doesn’t stop major brands and retailers from having some of the best fall/winter sales we’ve seen yet. From up to 75 percent of designer wares to discounts on already-reduced items, you absolutely have to check out these can’t-miss deals from some of our favorite retailers. Ann Taylor: 40% off full-priced styles and extra 60% off select sale styles. Use code SHOPBIG. Aritzia: 30% to 60% off fall/winter merchandise. Asos: Final reductions up to 70% off. Banana Republic: 40% off all purchases with code BRWEEKEND through Monday. Barneys New York: Final markdowns up to 75% off clothing, shoes and accessories. Bergdorf Goodman: Up to 75% off designer clothing and accessories. Club Monaco: 30% off sale styles with code SALE2015. Gap: Final sale up to 75% off winter goods. Use code LAYER for discounts of up to 40% off entire purchase through Saturday. H&M: 1,000 items under $10. Intermix: Up to an extra 40% off of sale items, ongoing. J.Crew: Extra 40% off final sale styles with some up to 50% off using code SHOPNOW. J Brand: Up to 70% off select items. Joie: Take an extra 25% off all sale items with code EXTRA25 through Tuesday. Kate Spade Saturday: Discounts on clothing, shoes and accessories. Madewell: Extra 30% off sale items with code AHHH. Matches Fashion: Final reductions up to 70% designer fall/winter merchandise. 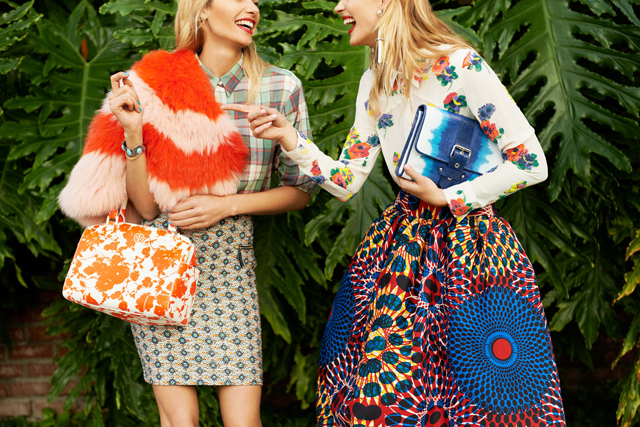 Moda Operandi: Final sales of up to 75% off fall/winter designer goods. Nasty Gal: Up to 60% off select items. Net-a-Porter: Take an extra 20% off sale items with code 20SALE. Nordstrom: Up to 65% off designer items. Piperlime: Final sales up to 70% off. Rag & Bone: Up to 50% off winter items. Saks Fifth Avenue: Up to 70% designer clothing and accessories, ongoing. Final sale for items over 60% off. Shopbop: Up to 70% off hundreds of items. Topshop: Take an extra 30% off sale items. Tory Burch: Select sale items in clothing, shoes, accessories and handbags.